Printing your photos with us is easy. 1. Shop our products and decide which material you'd like to print your photo on. 3. Upload your art. It needs to be 300dpi if you'd like it to be crisp and high-resolution! 4. Pay for your order and start waiting with anticipation for it to show up at your door. 1. We see your order as soon as you place it. We look through it, inspect your file, and we will call you if we have any questions. 2. If everything looks good, we print it! 3. 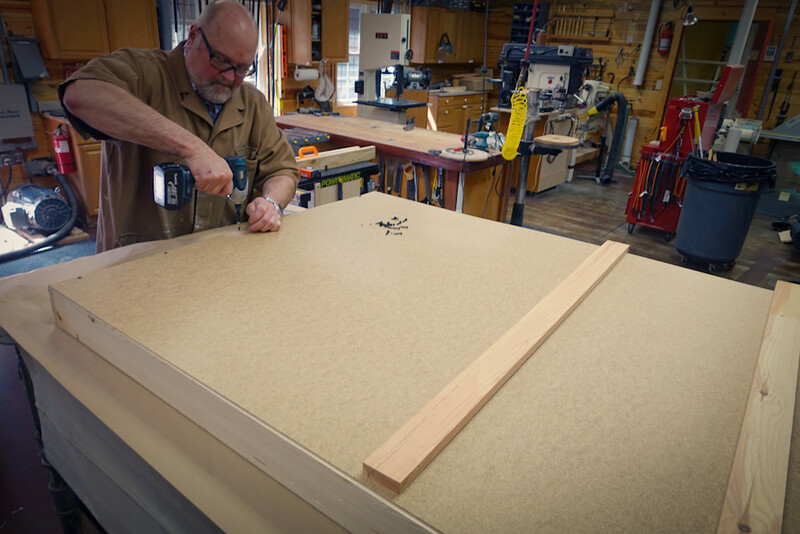 The next step varies from material to material - we may cut your special piece of baltic birch, cut your Metallichrome with our CNC router, or start building a frame for your canvas. 4. After the order is finished, it splits one of two ways; if your order is oversized, Robert hand builds a crate to ship your prints, just for you. If your order is smaller or a nice and easy paper print, we ship it right out! All of our shipping boxes are white so when you see our signature white box sitting outside your door, hurrah! 5. Your print arrives at your doorstep undamaged, ready to hang and look great for a long time.